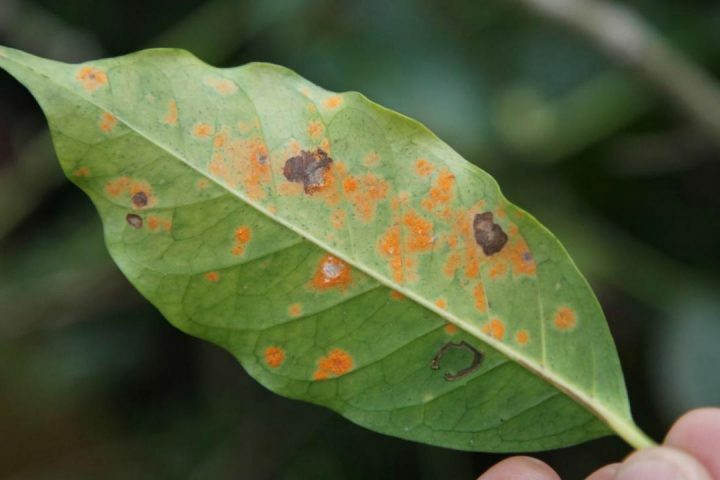 Leaf rust – a fungus that’s one of the world’s deadliest coffee diseases – has resulted in over $1 billion in damages to Latin American coffee farms, as of 2014. Central America is perhaps the region hit hardest by la roya, which wiped out almost half of its coffee production after an epidemic during the 2012-2013 season. When la roya hit Colombia in 2008, authorities were ready with disease-resistant plants they’d been working on for decades to combat higher temperatures, more moisture and new waves of pests. But despite the scientific advances in creating new coffee hybrids, convincing farmers to switch over to the new varieties proved difficult and farmers had to come up with other ways to evade the fungus, which soon hit Colombian farms and reduced coffee production by 31 percent, on average, between 2008 and 2011 as compared with 2007 levels. Around the world, many pointed to climate change as exacerbating la roya’s spread in Colombia. 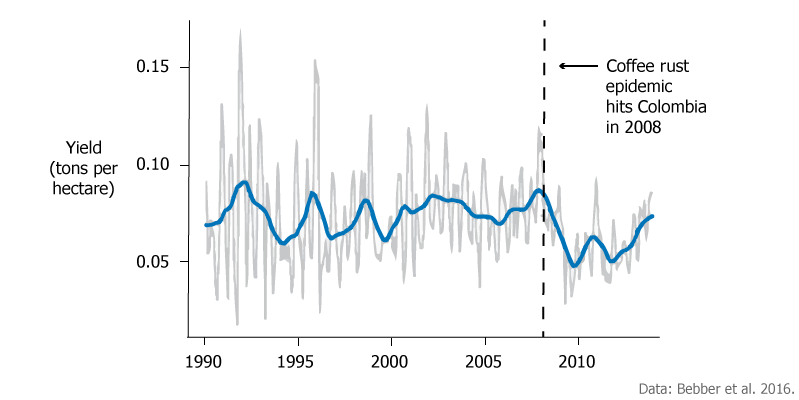 Still, many other groups, like The Climate Institute and the International Centre for Tropical Agriculture (CIAT), warn that climate change still poses a risk to coffee farms worldwide.